It was the summer it all ended . . . It was the summer a new story began. Linston End has been the summer home to three families for several decades. The memories of their time there are ingrained in their hearts: picnics on the river, gin and tonics in the pavilion at dusk, hours spent seeking out the local swallowtail butterflies. Everyone together. But recently widowed Alastair is about to shock his circle of friends with the decisions he has made - and the changes it will mean for them all... 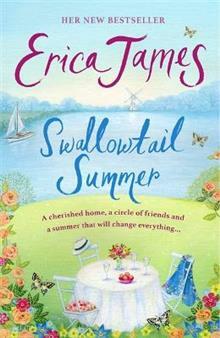 Fans of Fern Britton and Katie Fforde will love this warm-hearted, uplifting story set in the beauty of the Norfolk Broads.